Bandon-By-The-Sea : Ah, the Hippy Dippy Do 60's . . .
Ah, the Hippy Dippy Do 60's . . . I have known for a long time that the bullet holes in the windows was letting in the outside humidity in buckets full but I had no idea how much!! Last week I was talking to my new neighbor and he has a little house across the street that is about 1/2 the size of my house. I was complaining about getting into a wet nightgown and into wet sheets and he said he had a large dehumidifier and he emptied the water reservoir a couple of times a day. Well, it works great!! The first day I had to empty the reservoir 2 times!! That is 100 pints of water!! Yikes!! One pint equals 2 cups!! That is a lot of water!! I set it to 45% humidity and now I can get into a drier nightgown and dry sheets!! Hallelujah!! You might remember this from a previous post. 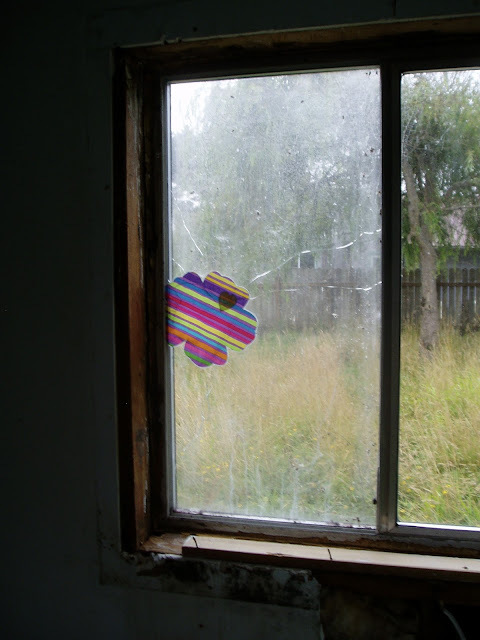 Well, I am happy to say, I now have bright flowers and hearts covering the holes in the windows all through the house!! 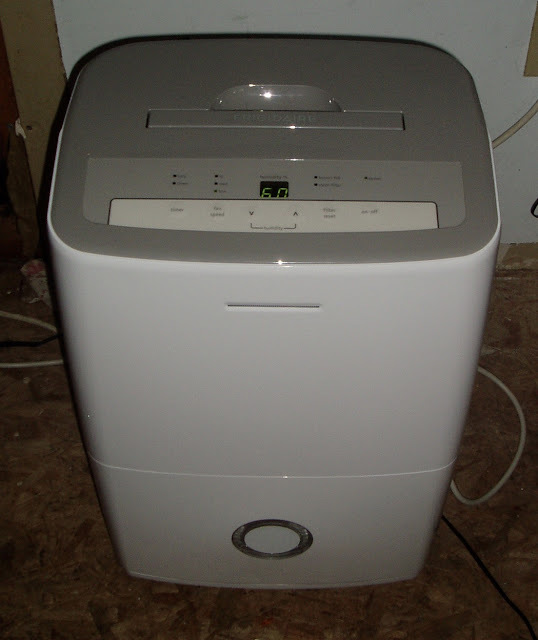 Now, we'll see if the dehumidifier has to work less and produces less water. I do take the water outside and water the lawn in the front yard!! Ya know, it is best to recycle!! Well, I am glad you don't have to put on a wet nightgown and crawl into wet sheets anymore. That does not sound like fun. Great solution. I think it is awesome how you are working through your renovation! Where there's a will, there's a way. Good thinking! a great solution to your problem! Old McDonald Had a Farm . . .